When it comes to climate change adaptation, the Trump administration isn’t even at the table. So when Trump axed Obama-era standards to prevent new construction in flood-prone areas, especially those threatened by sea level rise, in August, it fit his anti-regulation rhetoric perfectly. 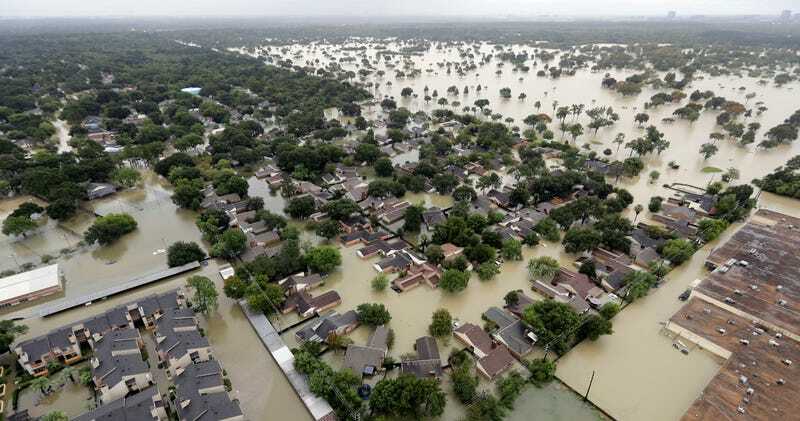 But the reality of the situation isn’t so simple, and a new directive from the U.S. Department of Housing and Urban Development (HUD) still requires that any new structures in a floodplain be built well above projected flood levels. These are “virtually the same requirements as those that Trump revoked last August,” according to Bloomberg. Released on Tuesday, the 101-page document tells states receiving funds to help recover from last year’s major hurricanes—Harvey, Maria, and Irma—to “take into account continued sea level rise” when making construction and land-use decisions. Trump’s executive order rescinding the 2015 Federal Flood Risk Management Standard seemed aimed at ignoring sea level rise and climate change impacts. So why is it still in the mandate? “It will require projects they fund to be built with this additional margin of safety to help ensure communities are rebuilding smarter and more resilient against future hurricanes and flood events, which is exactly what a responsible agency should be doing,” he said. The HUD notice directs states on how to spend the $7.4 billion in disaster aid that Congress approved after Hurricane Harvey, most of which went to Texas but some of which went to Florida, Puerto Rico, and the U.S. Virgin Islands to help cope with recovery from Hurricanes Irma and Maria.